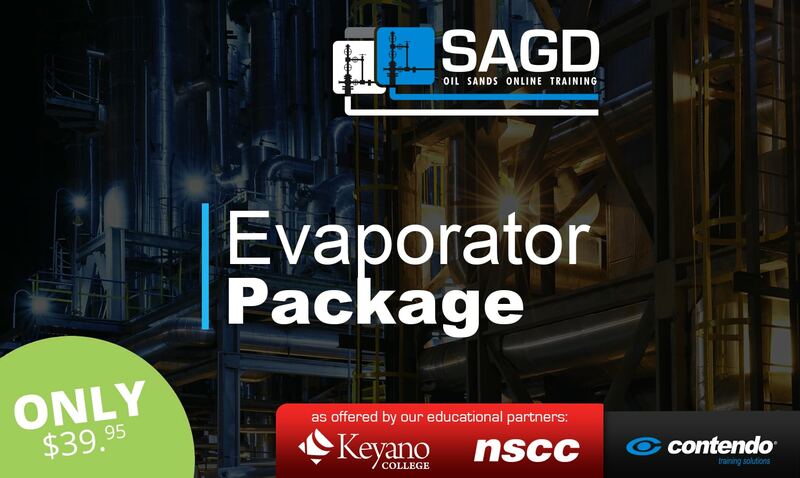 The purpose of Evaporator Water Treatment is to teach anyone in the oil & gas sector about how an Evaporator system can be an alternative to treating produced water in a Lime Softener in a SAGD facility. The core technology is mechanical vapour compression & vertical falling film evaporation. While complex, the process can be very efficient in producing high quality water. The complete 3-part Evaporator Water Treatment fully describes how a large-scale evaporator system works; starting with a single stage evaporator vessel & compressor unit. After explaining the theory & operation, we add component stages to build an entire Evaporator-to-Concentrator progressive treatment train that produces high quality distillate water. Evaporator Water Treatment Part 2 is included in Contendo’s Fundamentals of SAGD Online Oil Sands Training Water Treatment Course. 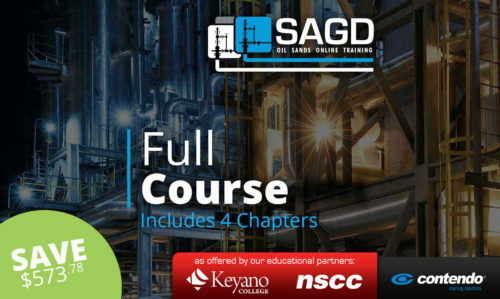 Contendo’s SAGD Oil Sands Online Training Courses are the only fully animated presentations of SAGD process construction & operation available. Simply put, no one else does what Contendo has been doing for a decade; turning process drawings into process actions. We explain the theory, then show you how it is applied using moving flows in piping, tanks & vessels. You will see the effects of typical system shutdowns caused by out-of-range conditions, & which associated equipment is affected by the alarm conditions. For example; a low tank level tripping off several downstream pumps.